Mark your calendar! Fly Tyers Weekend 2019 will be held the first weekend in November. The 2-day event is FREE. The venue is a 7,000 square foot conference center at Tremont Lodge & Resort in Townsend, Tennessee. Special room rates at the lodge are available for fly tyers and attendees. More than 40 excellent fly tyers will be demonstrating all weekend in shifts. Little River Outfitters will once again host the annual Fly Tyers Weekend. This event is free to the public. Fly Tyers Weekend 2019 will be held Saturday and Sunday, November 2 & 3, at Tremont Lodge & Resort in Townsend, Tennessee. Tremont Lodge & Resort is allotting a block of rooms for fly tyers and attendees at 25% off. To get this discount, you must call the lodge to make your reservation and let them know you are attending Fly Tyers Weekend. The more rooms that are rented to those attending this event, the less we have to pay for the conference center. So, please help support this event by booking your rooms at Tremont Lodge. Simply call 865-448-3200 to reserve your room or suite. You may visit the Tremont Lodge website by CLICKING HERE. This gathering of legendary fly tyers, their exhibits and demonstrations will delight both seasoned and novice tyers. With more than 40 tyers providing instruction, the LRO Fly Tyers Weekend is one of the largest gatherings of tyers in the Eastern United States… and its FREE. Come learn to tie freshwater and saltwater flies alike. These experts will share their experiences as well as tips on how and where to get the best results from fishing their flies. Demonstrations will be held both days from 9 a.m. to 5 p.m. Food will be available for purchase on site, provided by the local group of Casting For Recovery (CFR) members. Selling food at this event is a fundraiser for CFR. While the main events are held just down the road at Tremont Lodge & Resort come down and browse Little River Outfitters more than 7,000 square feet of indoor retail space and see their abundant selection of tying materials, fly rods, reels, lines and accessories. Our knowledgeable staff will be on hand to answer any questions about equipment and/or fly fishing tactics. Little River Outfitters is located in Townsend, Tennessee, near the entrance of Great Smoky Mountains National Park, which offers an ideal setting for this anglers’ event. Freestone trout streams, tailwaters, warmwater lowland rivers and even lake fishing abounds here and early November is an excellent month to fish. Early lodging reservations are suggested for this busy time of the year due to the leaf color change. You do not have to be a fly tyer to enjoy this event. The people who are demonstrating are seasoned anglers, with a diverse background, fly fishing their home waters for trout, warwater species and saltwater fish. You may ask them about their fly fishing experiences, and learn more about our sport. Tremont Lodge and Resort is located right in the center of town, in Townsend, Tennessee. The lodge spans over 10 acres of beautiful property, with views of the Smoky Mountains. 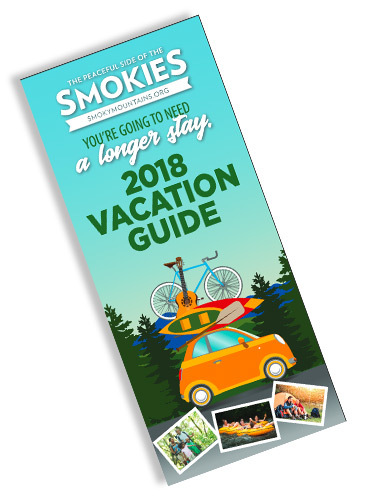 The bicycle path, that runs for several miles through town and almost to Great Smoky Mountains National Park, borders the lodge property. Bring your bicycle or walking shoes. Lodge amenities include a conference center and two swimming pools with one being indoor. Visit the Tremont Lodge & Resort website by CLICKING HERE. Call 865-448-3200 to reserve your room. We will be updating this with info about the 2019 Tyers. The Fly Tyers and anglers below have donated their time and money to be here for your enjoyment. They will be tying all weekend in shifts and you can spend two days with them for FREE. That’s the way Fly Tyers Weekend works. You may see the photos and read the biography of each fly tyer by clicking the button below.